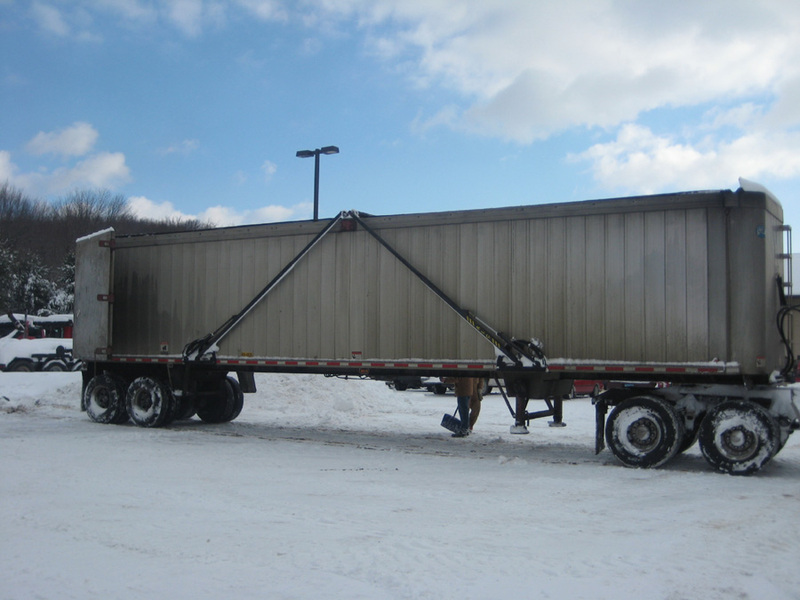 ALCS Twin Cover system for open top trailers will facilitate moving floor styles of trailers up to 53� in length. 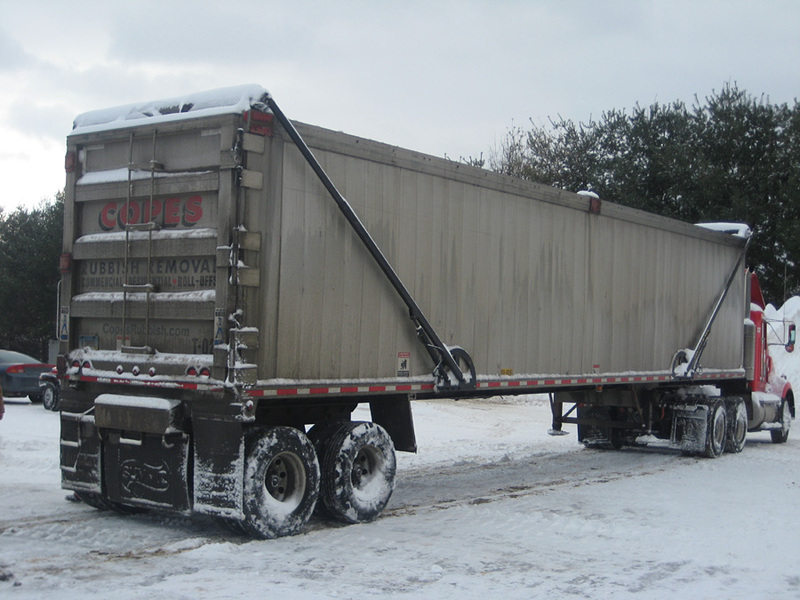 This system will be installed using ALCS TD 18/35 standard trailer system components. 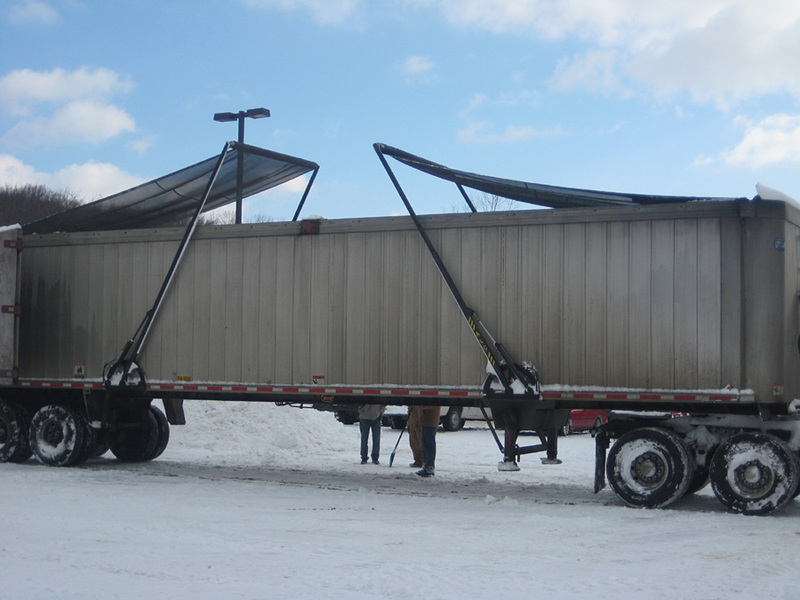 Our new TWIN COVER innovation with patents pending utilizes two pivoting arm systems to cover one length of trailer which greatly reduces the arms length so there is not a problem with height clearance. 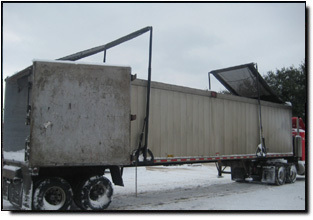 Having two tarps systems on one trailer allows the tarp to roll up on the tube assembly much neater without bunching up. 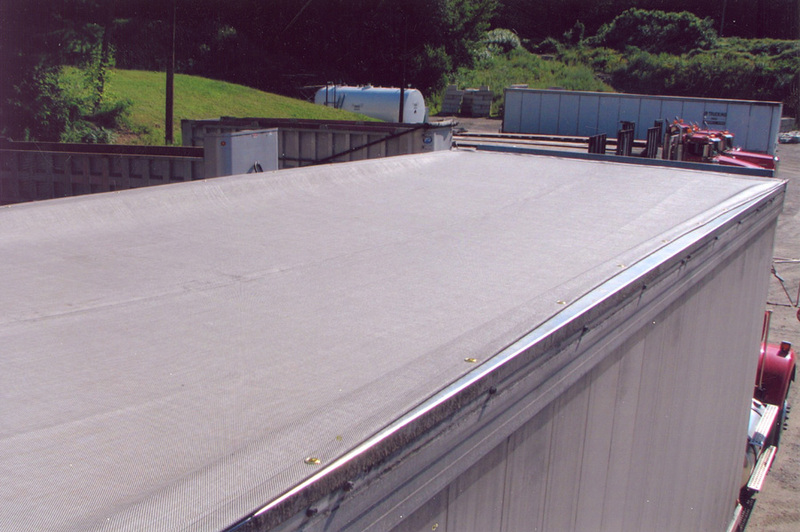 When replacement is needed the cost is less and the task of replacing the tarp is much simpler. 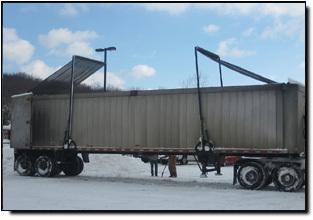 Having each system positioned at either end of the trailer when in the open position keeps the tarps out of the way for loading and unloading. 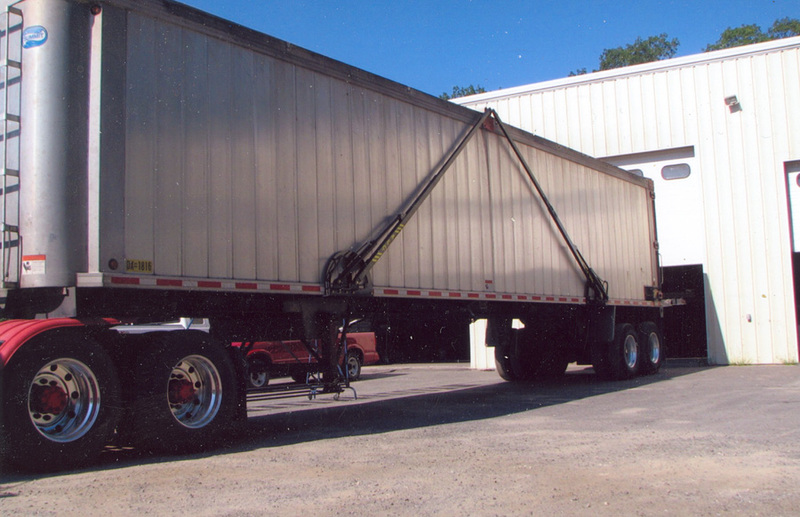 Trailers with hydraulic moving floors allow for easy installation and operating by connecting to the existing hydraulics of the trailer with two independent valve controls. 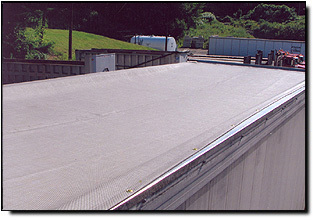 One control for each system allows them to run independent of each other. 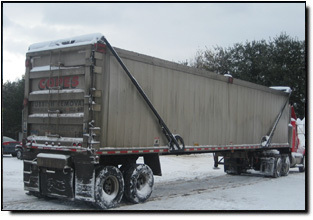 one 42"x126" pallet for easy shipping at low rates. 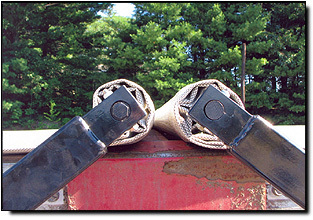 A key feature of the TWIN COVER is the mounting of the spring loaded tension tarp roller at each end of the pivoting arms. 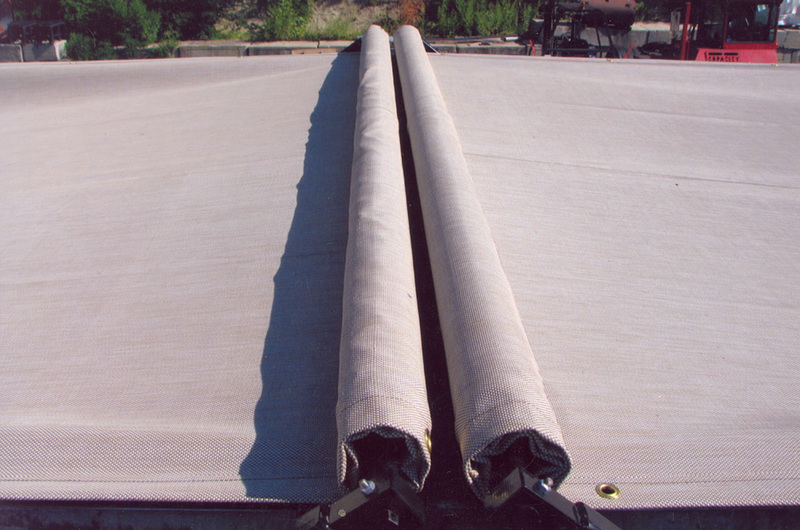 This allows the tarp to be rolled out over the load rather than dragging the tarp across the load with the possibility of snagging and tearing the tarp resulting in increased life of every TWIN COVER tarp. 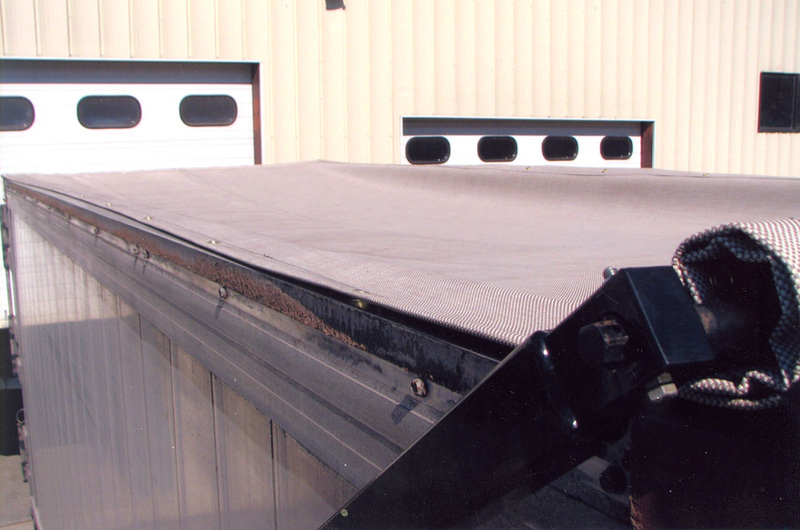 Unlike the tarp roller systems mounted to the front of the trailer the spring loaded tension tarp roller always ensures the tarp is under constant tension and doing its job to cover the load. 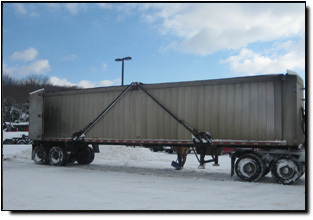 TWIN Arm System divides trailer into two easy to operate load covering systems. 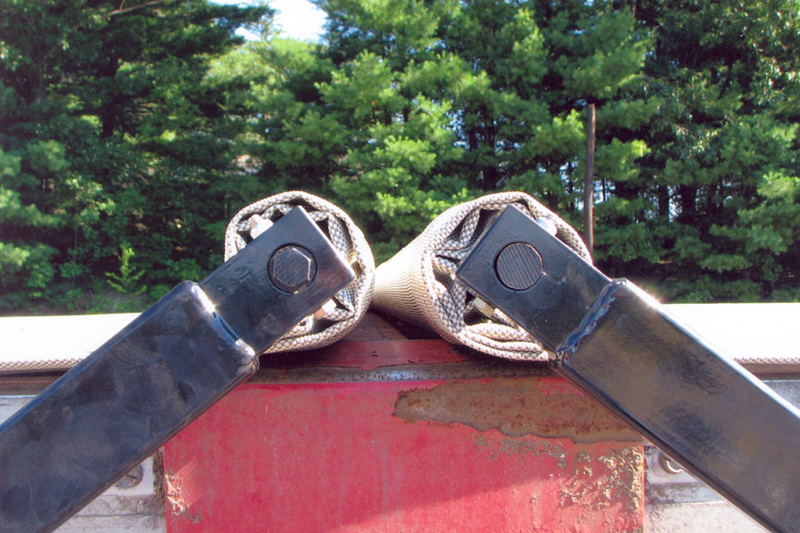 Spring Loaded Tarp Roller under constant tension is located on the pivoting arms. 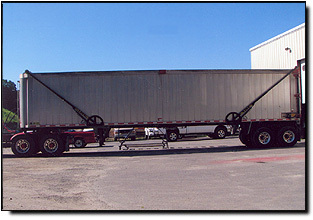 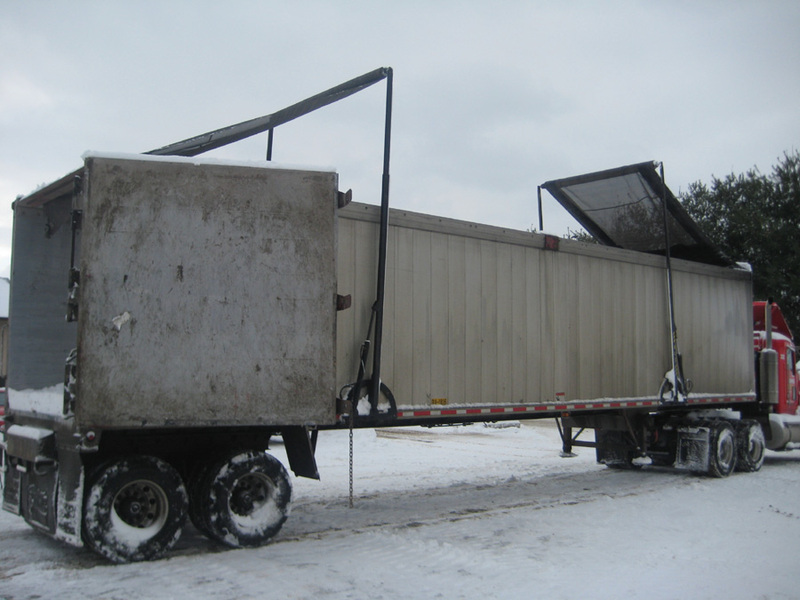 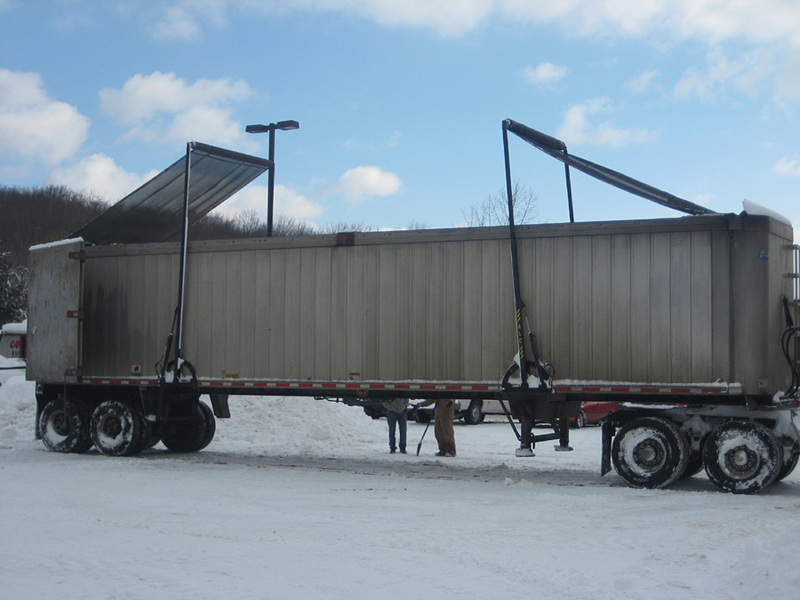 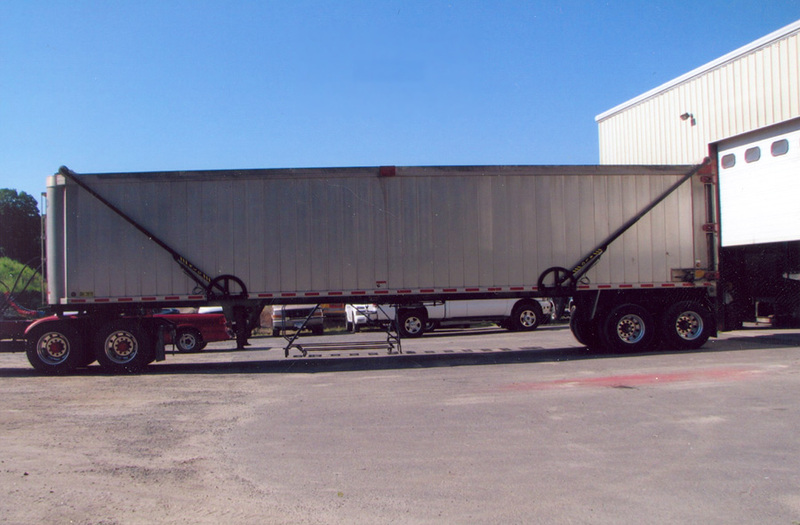 48 & 53ft trailers are easily covered with TWIN arms where one single arm is not doable. 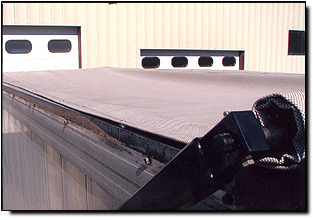 Tarps are held down under constant pressure with tension spring roller. 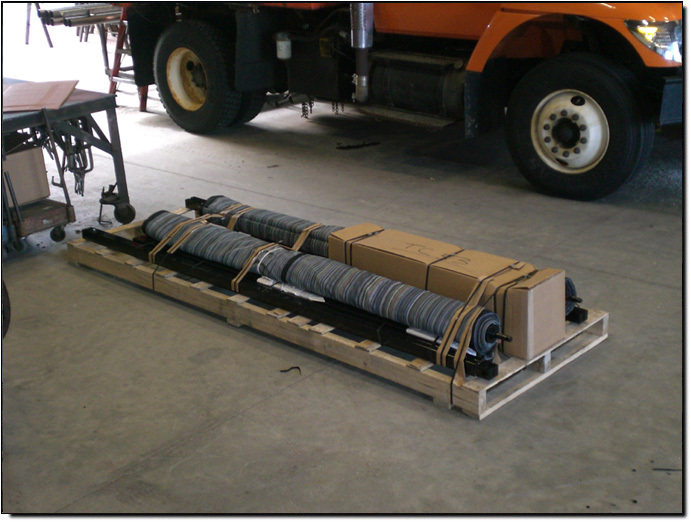 Hydraulic operation provides a sturdy & rigid system where other spring load arms are flimsy. 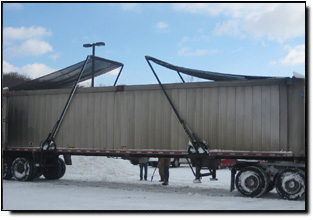 Operation is not effected by everyday winds. 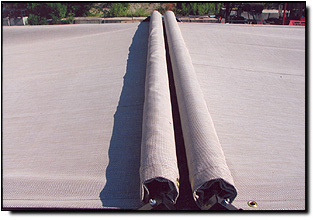 Tarps last longer, less replacement cost. 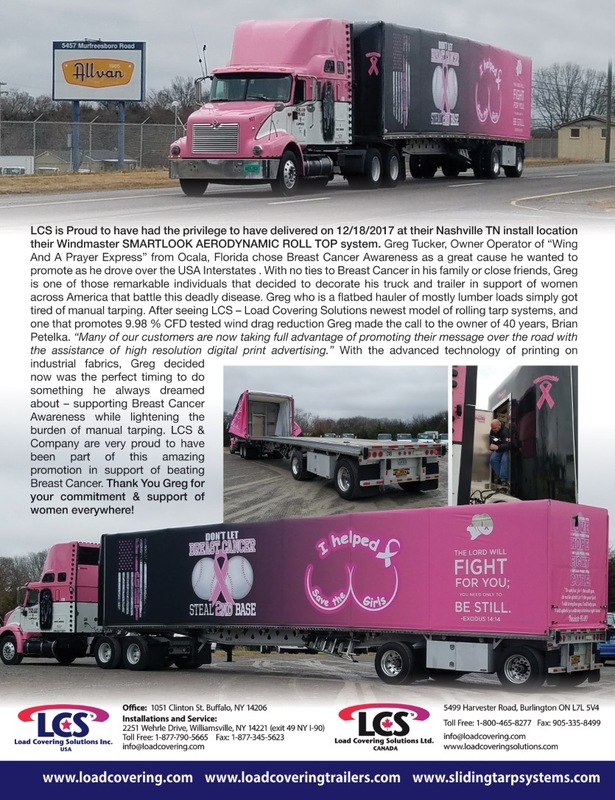 Arms last longer, less replacement cost. 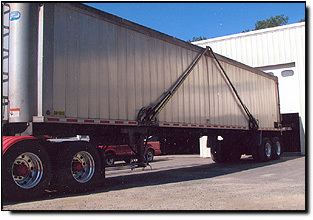 Eliminate costly electric motor replacement every 2-3 years.